STATE CAPITOL, PHOENIX – House Democrats voted on a bipartisan bill to get critical resources to Child Protective Services today. The Arizona House of Representatives and Senate passed HB 2502, a bill that would provide CPS an additional $4.4 million and 50 full-time positions within the agency. Child Protective Services has become increasingly overwhelmed. An article published in The Arizona Republic last year reported that more children have died from child abuse in 2012 than in 2010 or 2011. Also, there are 37 percent more Arizona children in foster care since October 2009, while the number of available foster homes continues to decrease at an alarming rate. This bill will go to the governor’s office today. “House Democrats are looking forward to working with Gov. Brewer and the Republicans to make sure that CPS gets all the funding and resources needed to protect Arizona kids,” Campbell said. STATE CAPITOL, PHOENIX – Democrats are leading an effort to defeat a group of Republican bills that push an ideological agenda through retaliation and intimidation. 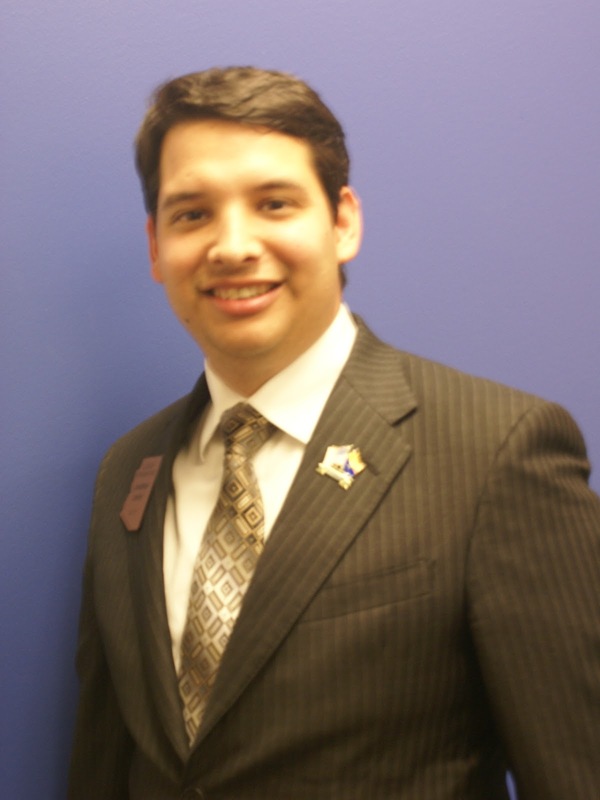 Rep. Martin Quezada, D-Phoenix (District 29), who is the ranking member of the Government Committee, reviewed the three bills in committee today. Quezada said the bills serve only to advance an ideological agenda. HB 2343 – This bill would prohibit a public employer from compensating employees for union activities and would prevent employees from utilizing vacation pay for union activities, including salary negotiations and collective bargaining. It would also keep union members from being able to use paid vacation time to participate in political rallies and other activities at the Legislature. The committee held this bill. HB 2330 – This legislation would make any meeting between a representative of a public body and a representative of an employee organization about salaries and benefits subject to the open meeting laws. It would also prevent local government bodies from going into executive session to discuss these issues and would require all discussions be recorded. The committee passed the bill. HB 2026 - This bill would require local governments to vote to authorize payroll deductions for union dues by Dec. 31, 2013. If local governments do not vote by the deadline, they automatically lose the ability to deduct dues. Effectively, this bill would make it difficult for public sector workers to recruit and maintain union members. The committee passed this bill. Rep. Jonathan Larkin, D-Glendale (District 30), is a member of the United Food and Commercial Workers Union. He also opposes the bills. Quezada spoke out against the bills in committee. STATE CAPITOL, PHOENIX – Members of the Arizona Latino Caucus applaud the efforts of the president and members of the U.S. Senate to bring focus and common sense to the immigration debate. Similarly, the Senate Bipartisan Framework for Comprehensive Immigration Reform, announced Monday, addresses directly some of the issues pertaining to citizenship and lawful permanent status. Gabaldon also said Arizonans expect sensible immigration reform. “As a representative who serves citizens living in Southern Arizona and along the border, I have heard from my constituents that they would like to see immigration reform. When I think of issues, especially immigration reform, I think of people. I think of people like my parents who came to the U.S. from Mexico seeking a better life and found it here. It is time to fix a system that has been broken for a long time,” she said. Quezada, the chair of the Arizona Latino Caucus, added that he and several other caucus members sponsored a resolution that reinforces the role of the federal government in immigration reform. HR 2002 calls for immigration enforcement that is implemented in an effective and humane manner. The resolution also recommends that comprehensive immigration reform should provide immigrant workers and their families with an opportunity for citizenship with fair and reasonable requirements. “If immigration reform includes the tenets outlined in HR 2002, our communities will be safer and we will uphold the principals of freedom and opportunity that are part of the foundation of our country,” Quezada said. CAPITOLIO ESTATAL, PHOENIX - Los miembros del Caucus Latino de Arizona aplauden los esfuerzos del presidente y los miembros del Senado de los EE.UU. por atrae atención e incorporar el sentido común al debate de inmigración. “El gobierno federal tiene que dirigir el debate nacional sobre la reforma migratoria" dijo Rep. Martin Quezada, D-Phoenix (Distrito 29). "Las propuestas del Presidente y de los miembros del Senado de los EE.UU. nos indican que la gente en Washington está lista para concentrarse en el tema de inmigración. Algunos de los más grandes desafíos que hemos enfrentado durante el debate de la inmigración ah sido conseguir que todos se sienten a la mesa y se comprometan a encontrar una solución. Ahora que esto ya a pasado, nosotros estamos listos para trabajar. Estamos listos para una reforma migratoria comprensiva y con sentido común." Del mismo modo, la propuesta bipartidista del Senado, anunciada el lunes, para una Reforma Migratoria aborda las cuestiones con respecto a la ciudadanía y el estatus legal permanente. “La reforma migratoria es usualmente un tema complejo y emocional, " dijo la Rep. Rosanna Gabaldon, D-Sahuarita (Distrito 2). “Este es el comienzo de muchas conversaciones difíciles que nuestras comunidades y líderes de nuestro país deben tener acerca de la forma en que construimos un sistema de inmigración que se enfoque en la unificación familiar, fortalecimiento de nuestra economía y en fortalecer nuestro país. Gabaldon añadió que los Arizonenses esperan una reforma migratoria sensata. "Como representante del sur de Arizona, área fronteriza, he oído a mis constituyentes que les gustaría ver una reforma migratoria. Cuando pienso en asuntos sociales, en especialmente el tema de la reforma migratoria, pienso en la gente. Pienso en gente como mis padres quienes emigraron a los EE.UU. desde México en busca de una vida mejor y lo encontraron aquí. Ya es hora de arreglar un sistema que ha estado quebrado por mucho tiempo," dijo. Quezada, el presidente del Caucus Latino de Arizona, agregó que él y varios otros miembros del comité patrocinaron una resolución que reenforza el rol del gobierno federal sobre el tema de la reforma migratoria. HR 2002 exige una ley de inmigración que se lleva a cabo de una manera eficaz y humana. La resolución también recomienda que la reforma migratoria integral debe proveer a los trabajadores inmigrantes y sus familias un camino a la ciudadanía con requisitos justos y razonables. "Si la reforma migratoria incluye los principios trazados en HR 2002, nuestras comunidades serán más seguras y defenderemos los principios fondamentales de nuestro pais, el derecho a la libertad y la oportunidad,” dijo Quezada. STATE CAPITOL, PHOENIX – House Democrats are starting off the 51st legislative session with a clear focus on increasing government accountability. Rep. Martin Quezada, D-Phoenix (District 29), added that earning public trust starts with accountability. “I’ve spent a lot of time talking with people in our communities, and they are letting me know loud and clear that they want the Legislature to stop working for special interests and instead work on getting our economy back on track by creating jobs and funding education,” Rep. Stefanie Mach, D-Tucson (District 10), said. STATE CAPITOL, PHOENIX – Today House Minority Leader Chad Campbell, D-Phoenix (District 24), and Senate Minority Leader Leah Landrum Taylor, D-Phoenix (District 27), released the following statements in response to the governor’s budget proposal. “The governor’s budget is a good starting point. We appear to have a foundation for a plan that could bring legislators from both parties together to finally enact a common-sense budget for Arizona. I applaud the governor for her proposal to secure Arizona’s fair share of federal dollars through Medicaid expansion. “It would be more productive for the state if the governor’s budget invested further in school resource officers, mental health services, child welfare programs, schools and job creators like state parks and other infrastructure and capital proposals. Overall, however, her funding priorities are reasonable. “It is imperative that we move quickly to get additional Child Protective Services caseworkers and resources into the CPS system. I support the governor’s call for immediate action in that area. The governor’s proposed changes in how education is funded need to be discussed with stakeholders so that the impact on schools and school districts can be determined. We can’t just eliminate the existing funding formulas, many of which are currently unfunded, and pretend that starving Arizona’s schools of money has not done damage to the education system. Helping our schools rebound and implementing reform efforts, like Common Core, takes money. It must be done to ensure Arizona students have the skills needed to compete globally. We should start by providing the $80 million owed to schools for inflation funding. The court of appeals recently ruled that withholding that money from schools was illegal. “The governor is doing the right thing by proposing we expand Medicaid. It’s a smart business decision that’s good for our state’s economy and good for the people of Arizona. “We hope that same logic would be applied toward putting education on a path for success. Unfortunately, we’ve seen all too well that this Tea Party Legislature is willing to put our kids last. “Over the past few years they have decimated education funding by more than $2.9 billion and slashed funding for CPS and healthcare - all while giving away hundreds of millions in tax cuts for corporations and special interests. STATE CAPITOL, PHOENIX – Today, House Minority Leader Chad Campbell, D-Phoenix (District 24), introduced a series of bills that will enact the provisions of a plan he outlined last week that is designed to enhance school safety, provide more mental health services and promote responsible gun ownership. "I am introducing a package of bills today that, if enacted, will provide a comprehensive approach to protecting our schools and communities from gun violence perpetrated by those who have, too often, slipped through the cracks of our legal or mental health systems," Campbell said. "My plan increases school safety and security, provides mental health services and interventions to stop those with severe mental health issues from having access to firearms, and ensures only those who can pass a background check have access to the most deadly guns." Additionally, Campbell says he backs a plan, recently endorsed by Republican Governor Jan Brewer, to fully fund the expansion of Medicaid services to those with incomes up to 133% of the federal poverty level (FPL) to provide mental health services to people in this population. Campbell did not introduce a specific bill on this issue because the legislature will have to consider it as part of the state budget package later this year. A brief summary of each bill that Campbell introduced is below . 1) Triples the funding for the existing School Safety Program that funds on-campus School Resource Officers (SROs). Currently, this program receives about $8 million in funding. Under my proposal, it would receive $25 million annually (a $17 million increase) to allow more SROs to be placed on school sites. 2) Creates infrastructure within the Arizona Department of Education’s School Safety and Prevention Unit to coordinate statewide trainings and provide technical assistance to district, charter and private schools for emergency response planning and threat assessment. My plan would allocate $1 million annually for this work. 3) Requires each school district and all charter schools to conduct and update regularly a comprehensive threat assessment (if they haven’t already done so) and identify what is needed to provide adequate security at each of their school sites. 4) Establishes a school safety fund of $20 million that will provide competitive grant money to enhance school security measures and equipment based on the needs identified in the school site threat assessment and emergency response plan and training. 5) Doubles the number of school counselors to provide more mental health professionals in the school setting to help identify children who may need services and intervention. The total approximate cost of my proposal is $62 million and this amount will be phased in over 3 years to allow adequate implementation time. Fully funds Non-Title XIX services for the Seriously Mentally Ill (SMI) at the 2009 levels at a cost of $23 million. This will ensure all services previously provided under the Arnold v. Sarn lawsuit settlement will again be made available to all who are eligible. Reforms the mental health care system to incorporate incentives for providers to produce positive outcomes - such as stability in housing, employment/education, and lower involvement in crime and the criminal justice system - for the clients they serve. Support full expansion of Medicaid coverage to individuals with an income up to 133% of the federal poverty level (FPL). This will ensure access to mental health services for all individuals in this population through the Arizona Health Care Cost Containment System (AHCCCS). The estimated cost for the first year of this coverage is $138 million. My proposal is consistent with Governor Brewer’s plan to expand Medicaid, announced during her State of the State address on Monday, January 14, 2013. The Governor’s proposal suggests that a hospital provider assessment financing mechanism will be utilized to cover the $138 million cost, and I am open to considering that as well as other funding options. Requires law enforcement who come into contact with an armed person who appears to be a threat to him/herself or others to temporarily seize the firearm and initiate a court hearing process to determine whether that person should be a “prohibited possessor.” The “prohibited possessor” list is a list of those persons prohibited from possessing firearms. Establishes a court hearing process for voluntarily committed persons to determine whether they should be “prohibited possessors.” Arizona law currently prohibits possession of a firearm by any person who has been found to constitute a danger to him/herself or others pursuant to a court order. Adds to the “prohibited possessor” list, persons who have an order of protection issued against them which has been issued after a full judicial proceeding where both parties were present. Reinstates the training and other requirements that were in place previous to 2010 related to receiving a permit to carry a concealed firearm (CCW permit). Failure to comply with these requirements would be a criminal offense. 1) Closes the “gun show” loophole by requiring sales and transfers to take place through a federally licensed firearms dealer to ensure all background checks and other requirements are met. Failure to comply with the requirement to use a licensed firearms dealer for the transaction would be a criminal offense. 2) Requires that person-to-person sales, loans and transfers of any firearms defined as “assault weapons” be processed by a licensed dealer to ensure all background checks and other requirements are met. Failure to comply with the requirement to use a licensed firearm dealer for the transaction would be a criminal offense. For providing this service to private parties, licensed dealers will be permitted to charge no more than $50 (in addition to any government-imposed background check or other required fees). Weapons passed down to family members as family heirlooms and keepsakes would be exempt from this requirement. STATE CAPITOL, PHOENIX – Military veterans who are now serving in the Arizona Legislature are forming a new caucus that will focus on issues affecting veterans across the state. Caucus members including Republican and Democrats have already started reaching out to veterans’ groups. Melissa Lange, co-founder and president of the Southwest Veterans Chamber of Commerce, said that she is pleased to see the legislators focusing on veterans issues including employment. The mission of the chamber is to improve the business climate, economy and quality of life for veterans. "We at the Southwest Veterans Chamber of Commerce feel an obligation to help veterans succeed in the business world. These men and women dedicated a good deal of their time to serving our country. We think that it is only fitting that we spend some time helping them when they return to civilian life,” Lange said. “Our organization was created by veterans and for veterans because we best understand the specific needs of the veteran community as they re-enter the workforce. It stands to reason that a legislative caucus, created by veterans, for veterans, is uniquely qualified to address veterans’ issues." Terry Araman, director of the Madison Street Veterans Association, said that he is looking forward to working with the caucus to help Arizona become the most supportive state in the country for all veterans. The caucus will be open to any state legislators with past military experience. All legislators or interested members of the public are invited to attend caucus meetings. STATE CAPITOL, PHOENIX – House Minority Leader Chad Campbell, D-Phoenix (District 24), said that the best way to curb gun violence in schools and in communities is to face the problem head on. Campbell has been working with law enforcement, mental health care providers and educators to develop a comprehensive legislative package intended to create safer schools and safer communities in Arizona. Andrew F. Morrill, president of the Arizona Education Association and a former classroom teacher, said student and school safety must always be a budget and a policy priority for Arizona’s lawmakers. He said the AEA supports legislation that promotes reasonable and comprehensive approaches to school safety, including those designed to identify, diagnose, and intervene in cases where patterns of violence or bullying emerge. Detective Rob Katzaroff, on behalf of the Arizona School Resource Officers Association, said that SROs enhance school safety and are the people best equipped to handle crisis situations when and if they occur on a school campus. “Properly trained SROs not only bring the knowledge and resources of the police department but also understand the school climate on their campuses and can more effectively evaluate and respond to threats against the schools where they are assigned,” Katzaroff said. Campbell’s plan also includes funding for resources for mental health care services and school counselors. Mindy Willard has been a school counselor at Sunset Ridge Elementary School in Glendale, Arizona since 2004. The American School Counselor Association named her the 2013 National School Counselor of the Year. She said school counselors provide services that can prevent tragedies. “School counselors help students with academic and personal skills. We provide guidance and support,” Willard said. “We know these kids; we’re in every classroom. And we know the warning signs. When there’s a problem, we can help families find resources to intervene." She added that in Arizona, there aren’t enough school counselors on campuses. Campbell’s proposal would double the number of school counselors in the state. The Safer Schools, Safer Communities Plan includes legislation that will enhance background checks for gun purchases and will restore the state’s concealed weapons permit requirements. Campbell added that making schools and communities safer is not a partisan issue. A summary of the legislation included in Campbell’s Safer Schools, Safer Communities Plan is below. Too often, we hear terrible news reports of shootings in our country’s schools and public places. Some of these tragic events have even happened in our own state, most notably the shooting of former Congresswoman Gabrielle Giffords that killed 6 people in Tucson in January 2011. The numerous school shootings and recent murders of 20 children at Sandy Hook Elementary School in Connecticut have again demonstrated how vulnerable our children can be in a setting where they should always be safe and secure. The story is almost always the same when one of these horrific events unfolds: a person suffering from mental illness takes deadly, high-powered weapons into a setting that lacks the security to detect or stop the armed gunman before he can carry-out his murderous intentions. It is past time that Arizona provides help to those whose mental illness makes them a threat to themselves or others. We must work to prevent these types of tragedies while aggressively protecting our children and community from the potential deadly consequences. 1) Triple the funding for the existing School Safety Program that funds on-campus School Resource Officers (SROs). Currently, this program receives about $8 million in funding. Under my proposal, it would receive $25 million annually (a $17 million increase), to allow more SROs to be placed on school sites. 2) Create infrastructure within the Arizona Department of Education’s School Safety and Prevention Unit to coordinate statewide trainings and provide technical assistance to district, charter and private schools for emergency response planning and threat assessment. My plan would allocate $1 million annually for this work. 3) Require each school district and all charter schools to conduct and update regularly a regular comprehensive threat assessment (if they haven’t already done so) and identify what is needed to provide adequate security at each of their school sites. 4) Establish a school safety fund of $20 million that will provide competitive grant money to enhance school security measures and equipment based on the needs identified in the school site threat assessment and emergency response plan and training. 5) Double the number of school counselors to help ensure there are more mental health professionals in the school setting to help identify children who may need services and intervention. The total approximate cost of my proposal is $62 million and this amount will be phased in over 3 years to allow adequate implementation time. 1) Fully fund Non-Title XIX services for the Seriously Mentally Ill (SMI) at the 2009 levels at a cost of $23 million. This will ensure all services previously provided under the Arnold v. Sarn lawsuit settlement will again be made available to all who are eligible. In addition to restoring funding to the SMI population, my proposal will also reform the system to incorporate incentives for providers to produce positive outcomes - such as stability in housing, employment/education, and lower involvement in crime and the criminal justice system - for the clients they serve. 2) Fully expand Medicaid coverage to individuals with an income up to 133% of the federal poverty level (FPL). This will ensure access to mental health services for all individuals in this population through the Arizona Health Care Cost Containment System (AHCCCS). The estimated cost for the first year of this coverage is $138 million. 1) Close the “gun show” loophole by requiring sales and transfers to take place through a federally licensed firearms dealer to ensure all background checks and other requirements are met. Failure to comply with the requirement to use a licensed firearm dealer for the transaction would be a criminal offense. 2) Require that person-to-person sales, loans and transfers of any firearms defined as "assault weapons" be processed by a licensed dealer to ensure a background check and other requirements that would be imposed if the purchase were made from a dealer are met. Failure to comply with the requirement to use a licensed firearm dealer for the transaction would be a criminal offense. For providing this service to private parties, licensed dealers will be permitted to charge no more than $50 (in addition to any government-imposed background check or other required fees). Weapons passed down to family members as family heirlooms and keepsakes would be exempt from this requirement. 3) Reinstate the training and other requirements that were in place previous to 2010 related to receiving a permit to carry a concealed firearm (CCW permit). Failure to comply with these requirements would be a criminal offense. 4) Limit access to firearms for those individuals who are a risk to themselves or others. Arizona law currently prohibits possession of a firearm by any person who has been found to constitute a danger to him/herself or others pursuant to court order, but the definition of “prohibited possessor” must be extended to include those who have been voluntarily committed and/or assessed as a threat to themselves or others by law enforcement. In addition, persons who have an order of protection issued against them, which has been issued after a full judicial proceeding where both parties were present, would be prohibited possessors under my proposal. 5) Ensure that local governments can adopt ordinances to allow for the disposal of guns they obtain through seizure, forfeiture or abandonment, including through firearm “buy back” programs.